There are multiple hot water systems that cause different hot water issues. Gas hot water heaters can stop heating because there is problem caused by a leak in the gas line leading to the appliance. If there is a leak in your gas water system, it starts to smell like a rotten egg. 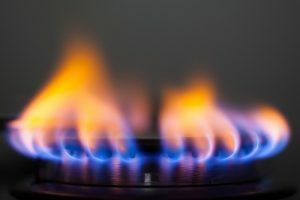 This is a huge gas hazard because you have leaking gas within your property and only professional plumbers should be the one to take care of it. Another reason there is not enough hot water is the heating element on your water heater is busted. Sometimes unintentionally the gas supply can be turned off or interrupted. You can fix this by turning the gas control knob to pilot. Check to see if the flame inside is lit. If the flame is out and you’ve taken the cover of it may simply mean that your pilot light has gone out. You will have to relight it or get someone like a professional. Many of the newer however water systems don’t use pilot lights. They use a spark ignitor or a glow plug. You can relight the pilot yourself the instructions are on the tank but recommended speak to a plumber for guidance. Also, the reason the heated water isn’t working is the burner itself. Determine if the burner is having trouble as simple as it sounds. Turn the burner off to begin the troubleshooting. Set the thermostat to 120 degrees. Open a hot water faucet and allow it to run. Wait and watch to see if the burner ignites. If the burner ignites it works if not continue to draw hot water and adjust the thermostat higher. If you can hear a noise coming from the tank this is caused by several reasons, but is often the result of sediment build up, which can sometimes be fixed by flushing the tank. Realistically, this is a job for a qualified technician, but you can check the owner’s manual for your hot water system to see if any safe instructions are provided. If not, call a qualified hot water plumber who handle this on a daily basis. If your hot water system is still not working, get a qualified plumber to take a look. So many things can happen from solar, gas and electric hot water systems. Also, a life lesson tip and most important rule is if your hot water system is damaged is to never attempt to repair it yourself. Unless your qualified to do so, most of the tanks contain large volumes of scaling hot water. Start my daily routine, walk in to my bathroom then turn the tap on and the water starts to build up. Didn’t know what to do since the drain was blocked deep inside the ground. Looked for a plumber who deals with blocked drains, called Jetset Plumbing because of their work. One of the plumbers gave me a call and came the next hour. When he arrived he was really good with customer service and experience. Not only fixed my drain with the high pressure jetter but gave me a talk on which jetter head he used. Really nice and informative.